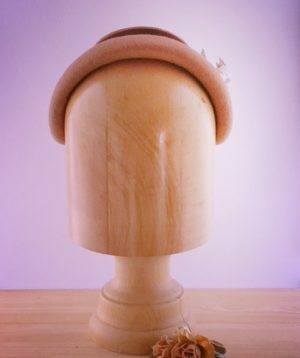 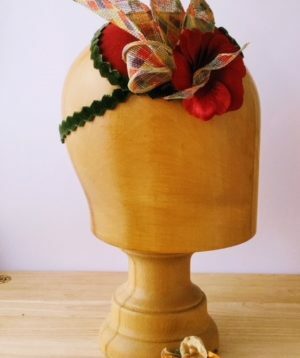 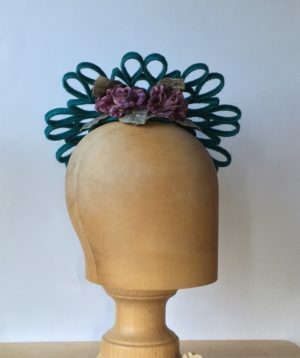 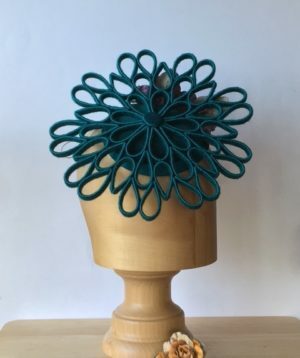 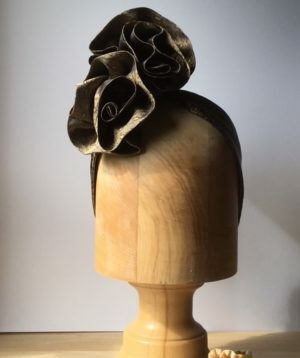 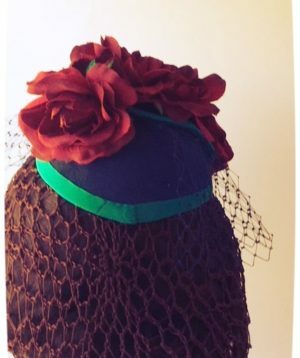 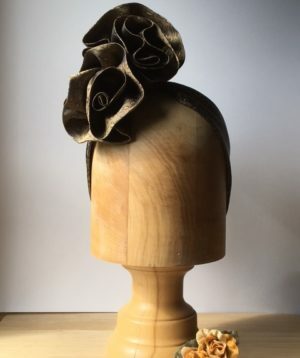 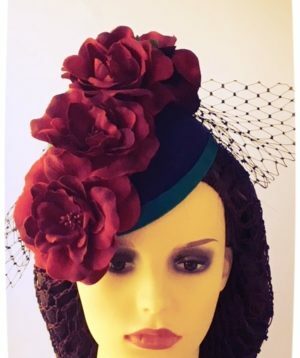 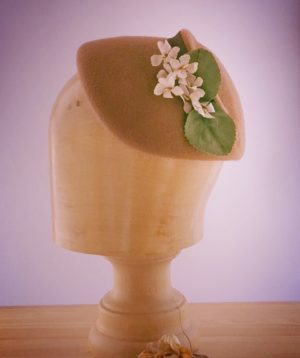 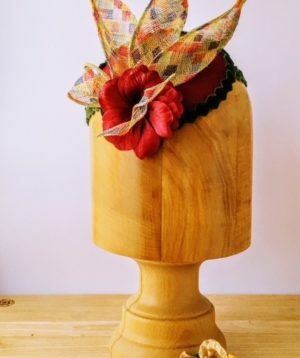 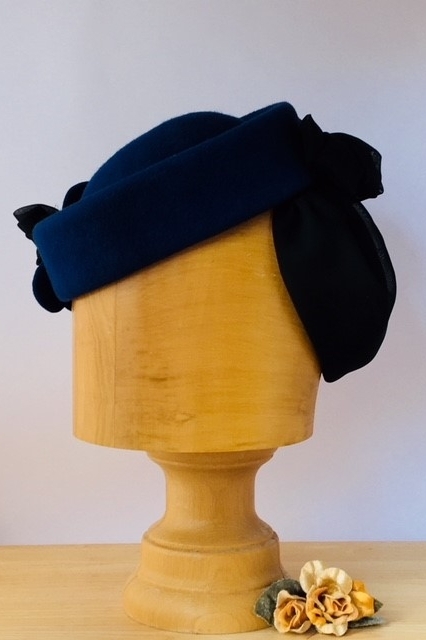 Another Evaline porkpie shaped pillar box style hat, goes with most hairstyles and sits well and stable on the head. 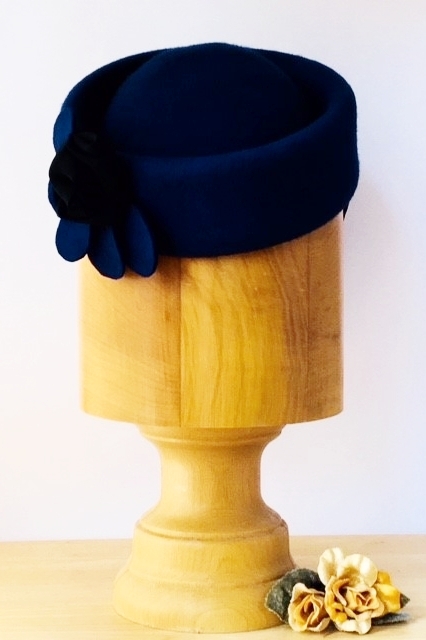 A rich french blue colour adorned with a petal and crushed flower motif accents the right eye. 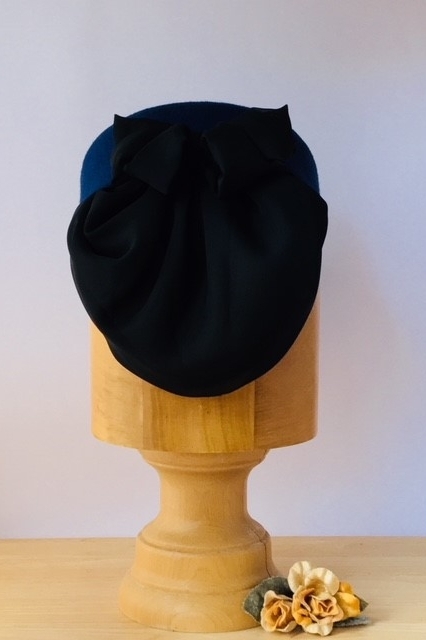 Black opaque veiling and bow to rear add a touch of glamour which also brings interest to the overall look, particularly when hair is worn short.